Cronometrics is proud to announce the launch of its debut collection of statement timepieces that focus on dependable function and sleek, sophisticated design. Defined by its modern, austere look and impeccable construction, the collection was conceived to appeal to both men and women and seamlessly fit today’s tech and innovation-driven lifestyles. The initial pieces come under the styles “Engineer” - which features hour/minute/second stopwatch subdials - and “Architect” with a second hand subdial – both in round cases with two-tone hour and minute hands, scratch-resistant mineral crystal, and high precision Japanese Miyota movement. 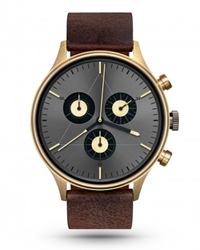 Adjustable to within the average 13 to 21cm wrist circumference, the straps are available in a variety of genuine Italian leather in black, brown and dark brown; and Milanese stainless steel mesh in gold, rose gold, steel, and gun metal gray. 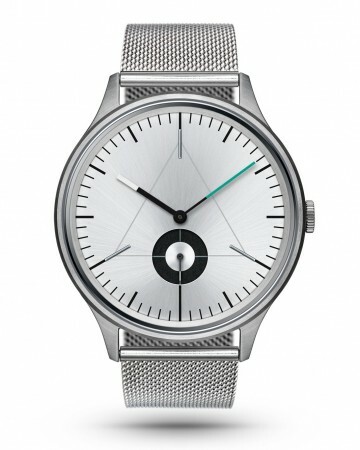 The dial also highlights a double-layer design feature and two-tone color combinations accomplished via a unique physical vapor deposition process. The line’s stark minimalist aesthetic belies its complex manufacturing that exceeds the conventional approach used by most other watch brands. Each piece undergoes a rigorous set of quality testing to ensure the performance of its internal mechanism as well as the consistency of its exceptional appearance. The Cronometrics Collection is available from $209 - $249 online at cronometrics.com as well as in specialty watch boutiques in the US, Belgium, France, Germany, Hong Kong, South Korea, Russia, Spain, and the UK. Launched in 2016, Cronometrics was created by Connie Ng and Robert Dabi after over a year of development. 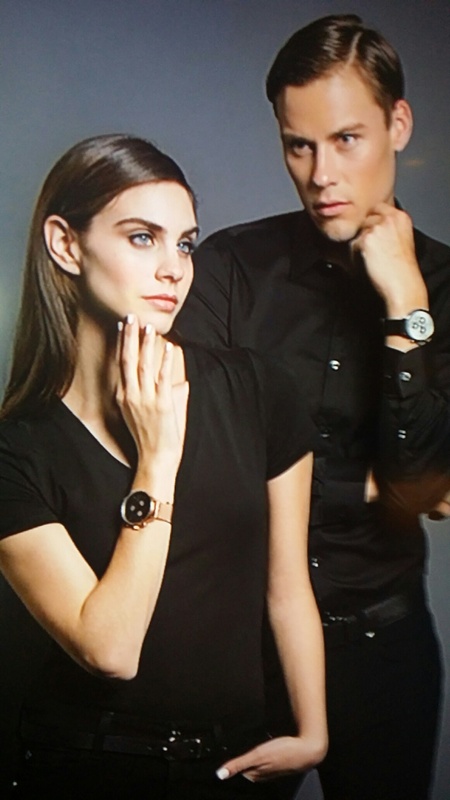 Robert’s extensive creative background and Connie’s business expertise give the brand a firm foundation for reaching new heights in stylish timepieces. Design at its most refined places the triangle as Cronometrics’ core concept and the centerpiece on the dial. With its three edges, the triangle is recognized by designers and engineers as the most stable physical shape and is attributed with many mathematical and geometric symbolisms including the recognition of the number “three” as the very manifestation of creation. International in scope, the watches are designed in Germany, using Japanese precision movement, Italian leather and stainless steel straps, with corporate headquarters located in Hong Kong. The brand is gradually expanding its market reach as well as its collection with new styles set to launch next year.